This 10-day hiking tour from Hanoi to Northwest allows you to trek through a series of remote villages and explore the most picturesque mountainous scenery as well as colorful ethnic minorities in northwest Vietnam. 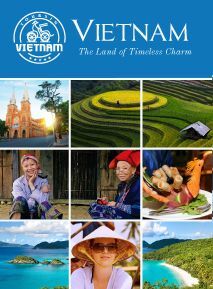 From the graceful busy streets of Hanoi, you will travel through rugged but striking mountain roads to Mai Chau, Sapa, Lao Cai, etc, enjoy gorgerous landscapes with lush forests, rice terraces, limestone panoramas & breathtaking mountain views, along with experience village lifestyle for a closer understanding of the local culture and people that make sure unforgettable trip for you. Breakfast, transfer to Mai Chau, on the way, trek some kilometers through ethnic villages (Muong and Thai). Lunch in Mai Chau. Overnight in Lac traditional village. Transfer 17 kilometers then trek in an area of inhabitants of ethnic minority Thai, Muong the villages of Cun Pheo and Hang Kia. Arrive Bai Sang wharf for the cruising on Black river by local boat. Arrive at Suoi Lon for overnight in Muong' Village. Transfer to Ta Sua plateau, you can contemplate the highland scenery of it. Visit some villages of ethnic Black H'mong and discover the daily life and custom of local inhabitants here, especially you can enjoy the local specialties: Ta Sua Tea and agriculture products then come back the mountain town for having lunch. After having lunch, visit the local market, the handicraft and farming products made by many ethnics are available here. Then continue to trek over 5 Kilometers through villages of Thai and Muong village. During the trekking you can take a rest and enjoy the local wine distillated by ethnics. Transfer to Thu cuc. Overnight in Muong Village. Trek through Thai, Dao, Mong visit the water wheel. It is used to scoop the water for the rice fields near the streams. Continue going to Nghia Lo through the direction of Lung Lo pass. Arrive at Nghia Lo, check in hotel then take a visit the local market at the moment of decline of day. Leave Nghia Lo for the itinerary, trek and visit some villages of ethnic's minorities along the road: black Dzao, H'mong, white Thai, etc. They are very kind, honest and plain. Arrive at Tu Le village, dinner and overnight in house on stilt of inhabitants here. 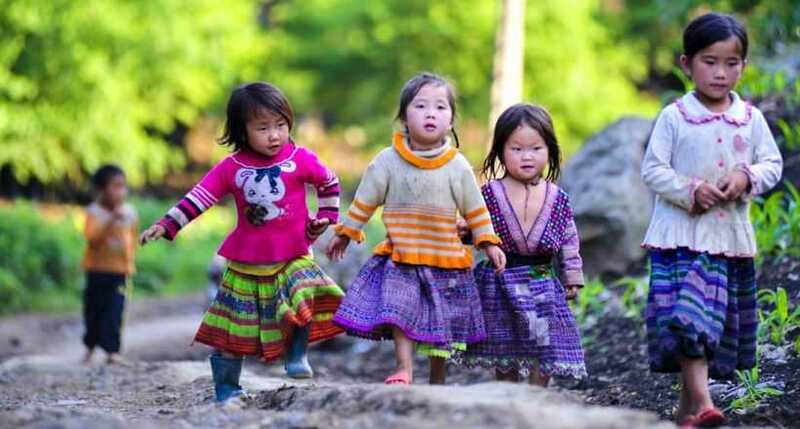 You can discover the daily life activities of this village in particular and the Thai ethnic in general in Vietnam. Overnight in Thai Village. Take leave of inhabitants of Tu Le, it takes 2 Km to village center, you can visit lots of activity on the early market day and it is typical colorful ethnics of this high mountain regions. Transfer to the footing of Kau Pha pass for us to start trekking about 9 Km through the forest and ethnic villages. This trail runs parallel with the famous and beautiful Kau Pha pass. We finish the trail at the peak of the pass (1800m above sea level). Transfer to Mu Cang Chai for lunch. Visit the local market and go on to Than Uyen. Arrive at Than Uyen, check in local guest house. 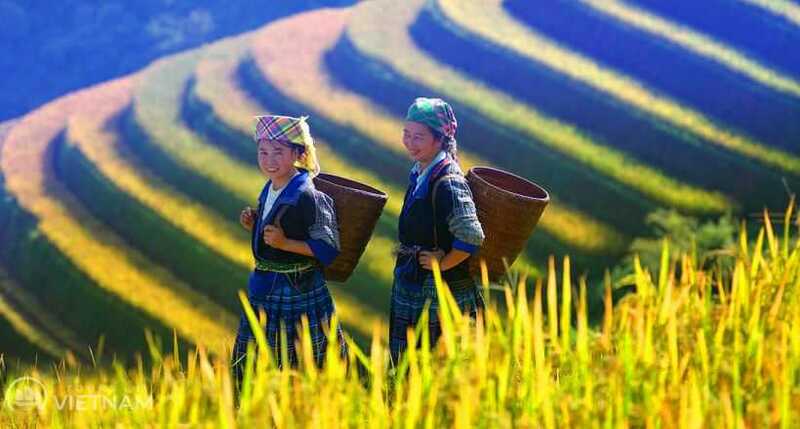 Transfer to Sapa, on the way, we can take trek to visit lots of beautiful villages of ethnic. Especially, you can meet the most typical ethics as: Lao, Lu (Xa Pho). They wear the long traditional and colorful costumes with jeweler hand made. Moreover, you can discover the kind face in black dyed teeth of ethnics here. Arrive at Sa Pa. 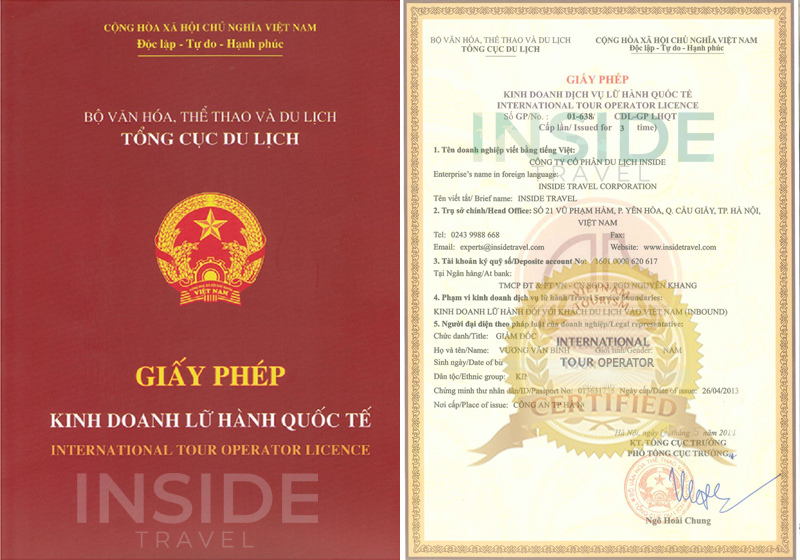 Check in and rest of the day at leisure or visit Sa Pa famous tourist town in Northern Vietnam . You can visit and go shopping, market for buying souvenirs such as handicraft made by ethics, ethics' traditional costumes, etc before ending the days in North West Vietnam. You will go south by car toward Muong Hoa valley. Your trek will begin from Tavan village of Giay minority. The first day trek will be mostly uphill. Whenever you stop for a rest, you will be able to enjoy valley view. Before noon, you stop again at a nice spot for lunch. The trek will be softer in the afternoon. But the scenery becomes even more beautiful. You pass by Seomity village of Black Hmong minority before you arrive in a campsite, which locates nearby a river outside the village. While porters put up tents and cook dinner, you can take a walk to stretch the legs. Trek through rainforest, arrive in Den Thang village, then Ta Trung Ho village The trek today takes you through beautiful rice paddies and over old suspension bridges. You will trek on small trail sneaking through rainforest. You arrive in Den Thang village of Black Hmong by noon. Here you stop for lunch either nearby a river or in a local school according to the weather. After lunch, the trek wills becomes tough on tinny footpath going up and down, which requires some concentration. You will reach to Ta Trung Ho village of Red Dao minority where you spend the night in local house. Both the valley and the village have just received foreign visitors. The night will be even more interesting when you are in the wonderful hospitable atmosphere of the Red Dao. You are now at the fringe of the rain forest by the Hoang Lien Son mountain range. Fansipan, the highest peak in Indochinavillage of Red Dao with its 3143 m, is located in this mountain range. You will start the trek today by ascending to Nam Toong minority. Here your lunch will be prepared in a local school. In the afternoon, before descending to Ban Ho, you can make a stop by a waterfall to refresh. On the last hours you can enjoy the valley one final time whilst trekking up to Su Pan, where your car takes you on the journey back to Sapa before transfer to Lao Cai for the night train back to Hanoi. End of service.